How does yoga aid in post-stroke recovery? Stroke is a condition that occurs why the cells are deprived of oxygen and blood flow to certain areas of the brain is cut off. The cells begin to die and with them the abilities controlled by them are also lost. This includes loss of functions of the brain like memory, speech and muscle control. The loss of functional strength, flexibility and endurance are common after effects of a stroke, which could often lead to a long-term disability. How does yoga play a role in recovery? Yoga provides recovery beyond traditional medical therapy and helps in faster recovery of neuromuscular assimilation. Regular practice of aasans improves blood flow in the system and helps in cell recovery. 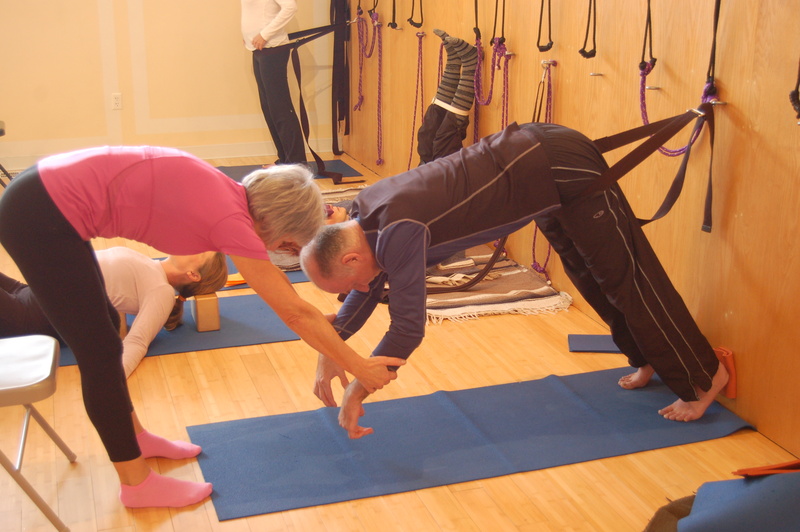 The poses also increase flexibility and balance of the patient. Yoga treatment has seen to increase the rate of recovery and helps improve the strength and endurance of affected muscles or areas to ensure there is no permanent disability. Additionally, it was seen that there was significant improvement in posture and their walking style as well. Suffering from a stroke also has substantial effect on one’s mental health. It decreases their level of confidence as stress and anxiety levels increase creating a sense of unrest within. Deep breathing yoga exercises relieves stress and provides that calmness anybody who is recovering really needs.